Composer, arranger, bandleader, educator and producer are hats that bassist RAY DRUMMOND has worn well over the past 30 years. But it all comes down to one thing: musician Ray Drummond likes to make great music. Born the son of an Army colonel on November 23, 1946 in Brookline , Massachusetts , he attended 14 different schools around the world. Drummond’s musical journey began at age eight with the trumpet, then French horn. Though, early on he developed a love of Jazz and taught himself listening to the music of Jazz masters. It wasn’t until he was 14 years old that his music director persuaded him to play the bass. Ultimately, his family settled in California , where Drummond earned a B.A. in Political Science, and attended Stanford Business School.While living in the San Francisco area, he worked with Bobby Hutcherson (that collaboration continues to this day), Michael White, Martha Young (Lester’s Niece), Ed Kelly, Tom Harrell, and Eddie Marshall. In 1977, he left the corporate life behind in California , and moved to New York City where he quickly became a first call bassist. His solid rhythmic and harmonic innovations landed him gigs with artists including Betty Carter, The Thad Jones/Mel Lewis Orchestra, Wynton Marsalis, Woody Shaw, Hank Jones, Jon Faddis, Milt Jackson, Johnny Griffin, Kenny Barron, Pharoah Sanders, and George Coleman. 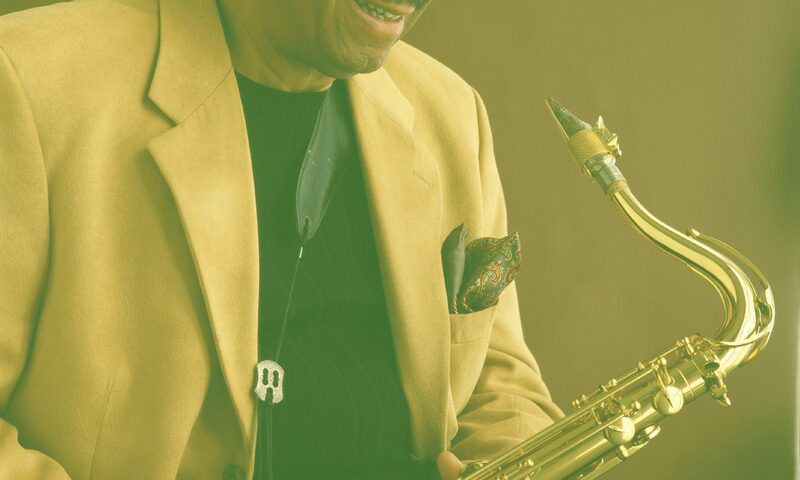 Additionally, he has been documented on over 300 recordings with artists including Art Farmer, David Murray, Houston Person, Stan Getz, Kenny Burrell, Kevin Mahogany, Toots Thielemans, Benny Golson and Ray Bryant. In addition to working with Jazz legends, Drummond also records and performs live with a diverse number of emerging artists including Joe Locke, Steve Wilson, Paul Bollenback, Jessica Williams, Rob Schneiderman and Jeanie Bryson. Not one to be content always sitting in the sideman’s seat, Drummond has led his own groups for the past 29 years. As leader, he has accumulated eight recordings under his own name, and three additional ones as a co-leader. 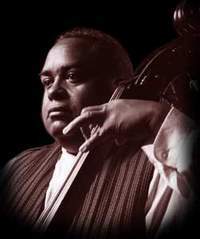 Robert Hicks of the Villager writes, “apart from his exceptional intonation, dark melodies and witty rhythmical sensibility, what separates Drummond from other bassists is his abilities as bandleader and composer.” As a composer, his music is steeped in the tradition of Jazz and its roots, with a blending of African inspirations, and modal moods. Says Drummond, “I’m trying to answer the question of what would have happened if we hadn’t gone through the Afro-Cuban experience. What if the African influence went directly to New York and New Orleans ?” As a bandleader, he surrounds himself with musicians who he knows will fit into his music, and allows them to exploit the way they play. “My approach is the single-minded, Miles Davis theory of band leading.” His three main groups are “Excursion” which features David Sanchez, Craig Handy, Stephen Scott, Mor Thiam and Billy Hart; The Quartet with Billy Hart, Stephen Scott and Craig Handy; and “One To One” with Bill Mays. Additionally, he co-leads The Drummonds, featuring Billy Drummond and Renee Rosnes. His bands have performed every year at the world renowned Village Vanguard in NYC since 1994, toured the mid-west including performances at Purdue University, several trips to California, and the Monterey Jazz Festival. In 1998 Drummond was awarded the New Jersey State Council on the Arts Individual Artist Fellowship. In 1998 he was a resident artist at the Monterey Jazz Festival, and was commissioned to write a piece for his “Excursion” band, and the performance was a highlight of the Festival. Lafayette College in Easton , PA commissioned Drummond, in 2001, to write two pieces for their Jazz Band. As artist-in-residence at the college, his “Excursion” band performed at the culmination of his residency. Drummond’s teaching credits begin in 1975 as a faculty member of Monterey Peninsula College Music Department in Monterey , CA . He continues to conduct master classes, seminars and workshops all over the world including Stanford Jazz Workshop (two times as a master resident), the Berklee School of Music, Purdue University, BANFF Center for the Arts, University of Nebraska/Lincoln, the University of Massachusetts, and the Sibelius Academy of Music in Helsinki, Finland, just to name a few. He was also an adjudicator for high school Jazz bands as a staff member of the Monterey Jazz Festival from 1975-79. Currently he is Assistant Professor of Jazz, Theory, and Practice at California State University , Monterey Bay. As a sideman, he continues to work as member of The Kenny Barron Trio, Houston Person, Bobby Hutcherson, George Coleman, Phil Woods, Peter Leitch, David Murray’s Power Quartet, Toots Thielemans, Bill Charlap Trio, The Drummonds, Bennie Wallace, and many others. As a leader, he recently performed again at the Village Vanguard in NYC and Healdsburg (CA) Jazz Festival with his Quartet, The American Jazz Institute (LA), and Lafayette College in Easton, PA.